Lincad, providers of specialist solutions to customers’ power management demands, announces that its new flagship Fast Charger, capable of the independent recharge and management of up to four batteries at one time, has gone into service with the British Armed Forces. The first deliveries to the Ministry of Defence (MOD) began in April. 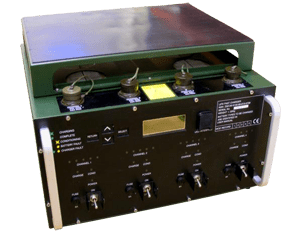 Designed for the MOD to meet the battery charging and management requirements of Lincad’s LIPS (Lithium Ion Power System) suite of batteries, the Fast Charger is an enhanced replacement for the current Caravel single channel battery charger, a device which has seen rigorous service with both British and international armed forces in all theatres of operation for more than 12 years. Offering a significant improvement on other units, the Fast Charger can effectively halve charging times, delivering improved efficiency and a potential reduction in the amount of equipment needed for operational scenarios. Its power delivery of up to 2 KW is achieved from a universal AC mains input within its ruggedised 440 X 400 X 310 space envelope. Active thermal management is employed to maintain peak function even in the most challenging environments. Through ongoing capacity gauge recalibration and fault diagnosis, the Fast Charger is able to manage intelligent lithium-ion batteries and, where it is safe to do so, can carry out a battery reset, avoiding the need for a costly return from an operational theatre. To complement the backlit LCD user interface, each output channel has its own LED display, providing functional and battery charge status feedback which is visible from a distance even in full sun. 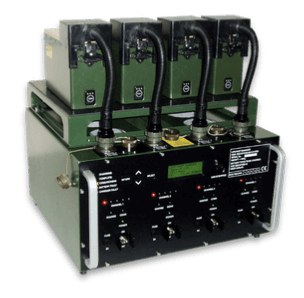 The Fast Charger uses USB1.1 connectivity to connect with external devices, giving the capability to implement software upgrades in the field and allowing new battery types and technologies to be added to the range serviced by the unit. Whilst the Fast Charger has been developed to service Lincad’s existing LIPS family of batteries, its inherent flexibility can be applied to recharge any battery of any existing technology from 9 to 36 Volts at a peak of 500 W delivery per channel. Connection of any mechanical interface can be achieved through the use of Lincad’s range of Battery Interface Adaptors (BIAs).